Do you know the Japanese animated fantasy film "My neighbour Totoro"? It is very sweet and beautifully painted , suitable for young kids - and adults ;-) I have seen the DVD last year and I was so enchanted by the cute magical creatures that I was searching the Internet for a plush toy. 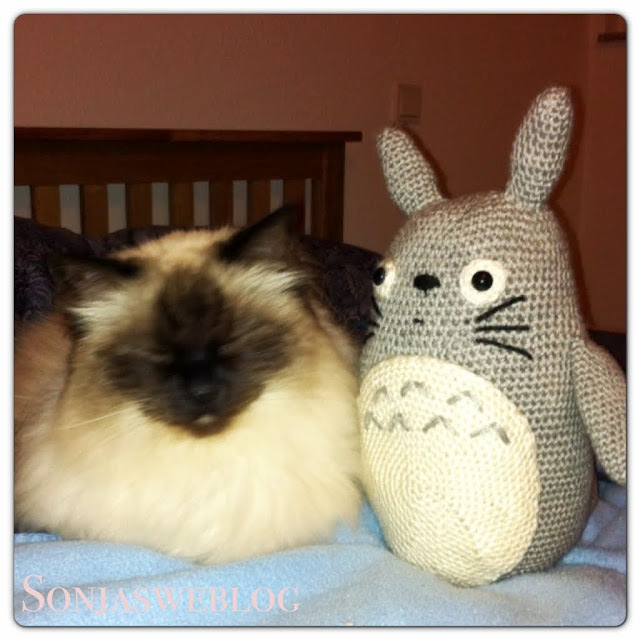 What I found instead was even more fascinating: a crocheted Totoro! 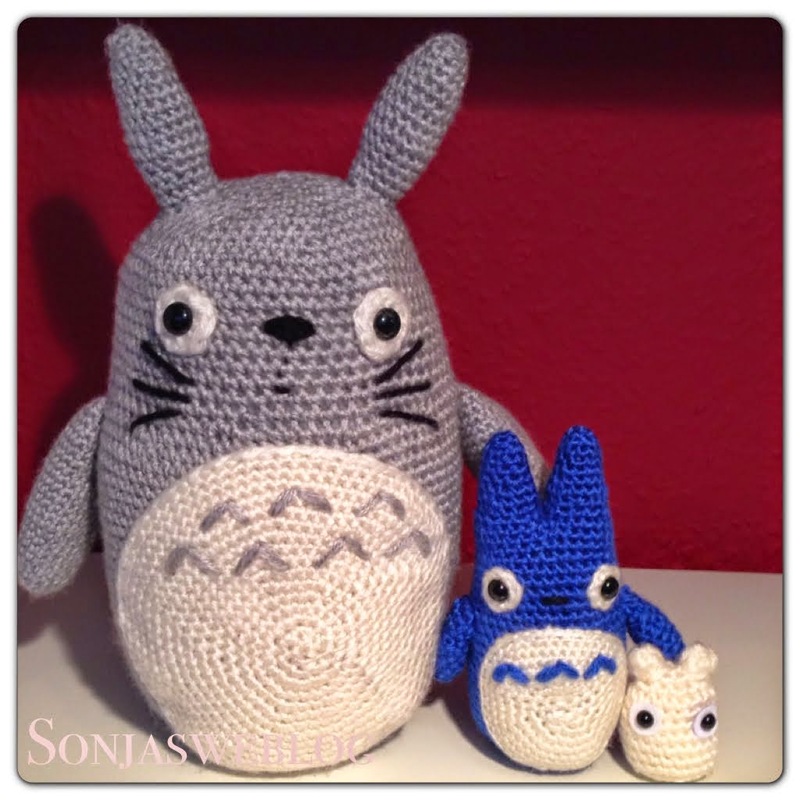 Instantly I wanted to crochet one myself, even though I had not taken up a hook in decades and the pattern was written in English in US crochet terms. I really had absolutely no idea how to do this. 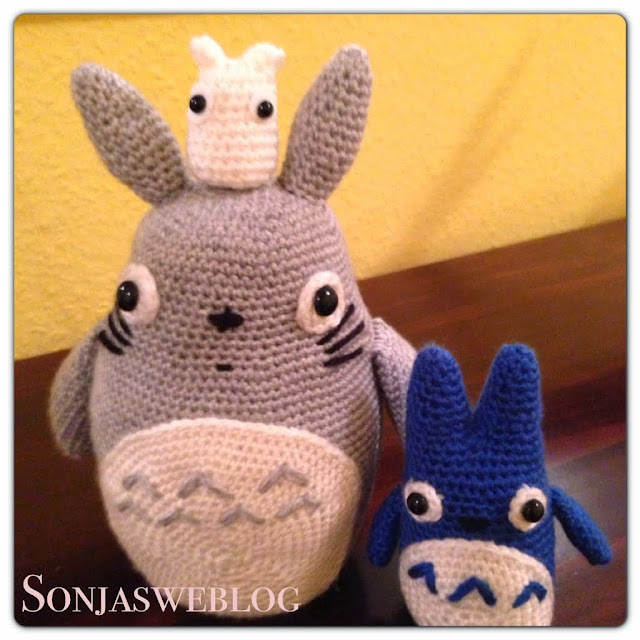 But the net is fantastic and provided me with tutorials and translations so I could manage to crochet Totoro and his friends, the little blue fellow and the tiny white one. I really enjoy to crochet, usually in front of the TV, it's so relaxing!